Last Tuesday, Sen. Mike Lee (R-Utah.) and Sen. Ben Sasse (R-Neb.) spoke at a Heritage Foundation panel discussion on the damage and ineffectiveness of occupational licensing. Occupational licensing is government-permitted authority to conduct voluntary commerce in a particular field or industry. These government permission slips are granted upon the completion of and compliance to testing and/or inspection, in addition to the payment of fees ranging from nominal well into the thousands of dollars. The senators discussed the damage and impracticality of such bureaucratic red tape that continues to impede Americans from accessing the marketplace. For these reasons, they have introduced S.3158, the Alternatives to Licensing that Lower Obstacles to Work (ALLOW) Act. This legislation aims to reduce licensing requirements for mobile military families, as well as Washington D.C. residents. The first component of ALLOW focuses on the repealing of barriers to market entry for military families. Due to the fast-paced demands of our armed services, military families may be subject to frequent relocation. Moving from state to state, however, proves difficult for service members and their spouses who work in regulated industries. Emergency medical services, cosmetology, floristry, nutrition, personal training, landscaping, and thousands of additional jobs have specific state licensing requirements. Most industries have little to no licensure reciprocity, which places an added burden of time and resources on military families in transition. This bill would grant reciprocity to military members and their spouses on bases and installations. The second component of the ALLOW Act aims to combat these same regulations within the District of Columbia. According to Sen. Lee in a recent press release, “limiting occupational license requirements in the district only to those circumstances in which it is the least restrictive means of protecting the public health, safety or welfare” is the chief objective of this legislation. 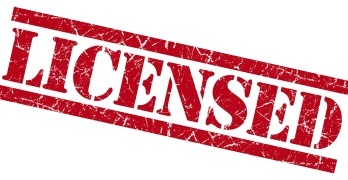 Sen. Lee and Sen. Sasse hope this move will serve to spur state action in the area of occupational licensing requirements. While imposing licensure requirements in some industries, such as in medicine or law, can act as a reasonable protection against malpractice or fraud, a concerning trend has long developed. Increases in licensure requirements have transformed into a guaranteed, discretionary revenue sources for state and local governments under the guise of public safety. Additionally, established industry leaders have become increasingly active in lobbying to close the door behind them, shutting out those attempting to enter into an industry—an egregious form of crony protectionism that squelches free-market competition. Not only does this behavior have moral implications, but also numerous market effects, including the decrease of competition, which result in diminished levels of innovation and product quality while increasing prices for consumers. This legislation could not come at a more critical time. With drastic economic and technological changes expected to take place in the years to come, economic stability and security will depend on a family’s ability to quickly react to altering market and monetary conditions. Job mobility, however, is rapidly weakened by government barriers to market entry. Such requirements burden the liberty of contract. Instead of protecting individuals from fraudulent actions within the free market, the federal government has once again proven that it is not the solution, but rather an accessory to the problem. Even more than complicating the job process, the issue of occupational licensing has farther reaching implications than creating a mere inconvenience. Legal privilege and political favoritism are exactly the principles embodied in the issuance of occupational licenses, resulting in a disincentivization of self-reliance and preservation. “Too often well-intentioned but ultimately misguided government policies tend to stifle that spirit before it can fulfill its full potential,” stated Sen. Lee. S. 3158, the Alternatives to Licensing that Lower Obstacles to Work (ALLOW) Act, intends to change this form of government oversight and market distortion, ushering in a new era of growth and prosperity for all Americans. http://documentswindows10.com then you realize some old and essential files or documents are missing in your system so i have solution about this matter. In response to the recent report by Axios regarding rumored Trump administration plans to nationalize the 5G wireless network as a counter to China’s capabilities, FreedomWorks is strongly opposed to nationalization of ANY industry, let alone one so integral to the future of America’s economy. FreedomWorks stands in firm agreement with the statement offered by FCC Chairman Ajit Pai opposing any plans to nationalize the 5G market.